Supreme Vinegar Wins International Award - That Creative Guy | Branding. Visual. Design. Expert. It’s such a great feeling when your client does something awesome with their product after you’ve helped them develop a strong brand image! 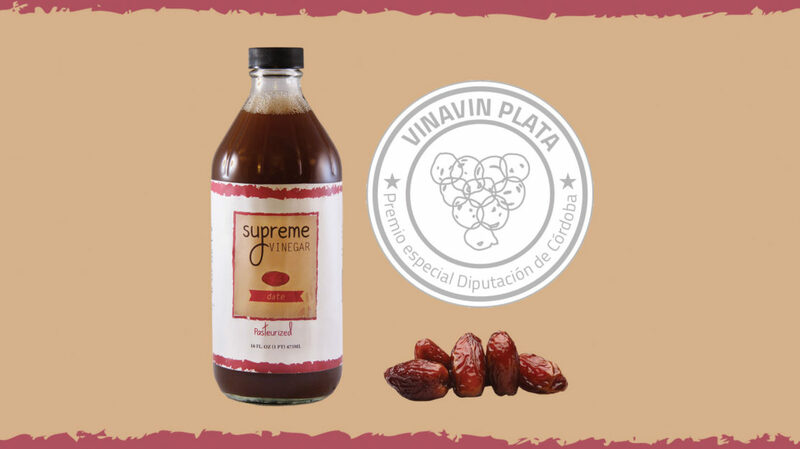 Supreme Vinegar won a Silver Award in a blind taste test at the ONLY international vinegar competition in the world, held in Cordoba, Spain. The 2017 Vinavin International Vinegar Competition (Vinavin Plata) is a binannual competition held by Vinavin which is an association of wine and vinegar experts in Spain. They were the only non-European entrant to win an award! So, why is professional branding important? Supreme Vinegar’s brand will be the face of his product, represent who he is and put on display the high quality of his product to those NEW and interested consumers that enjoy wine and vinegar making. From their print to web design, the consistency of their brand will make a HUGE impact. Check out the Vinavin website for more information and this Tweet from the taste test. Check out the Supreme Vinegar brand identity system.